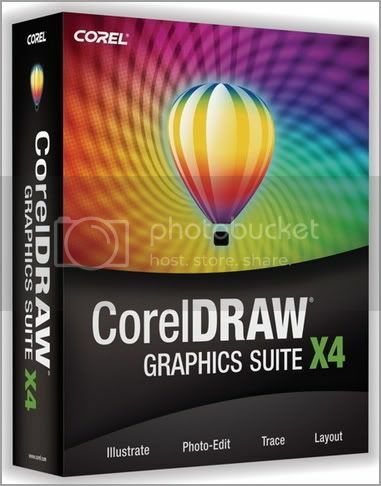 As the centerpiece of Corel's Graphics Suite X4, CorelDraw X4 ships with significant new features that, while not flashy, are practical, and substantial enough for professionals to find the upgrade worthwhile. Even the interface has been redesigned to present a clean, intuitive workspace. 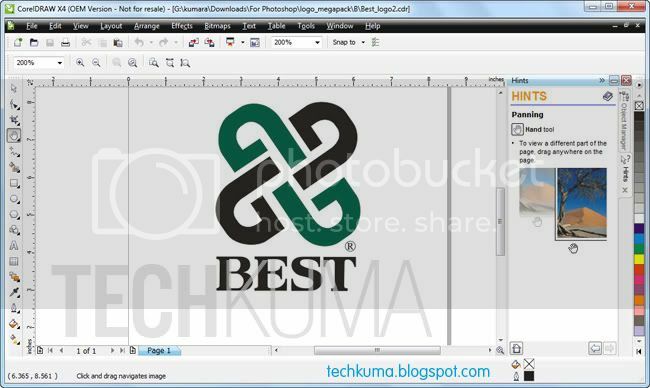 CorelDraw is the well-established "other" vector drawing program, covering the same ground as Adobe Illustrator does. You can use it to create illustrations for signs, logos, and technical and industrial designs, and for specialized printing like engraving. Draw also works for designing multipage publications. The growing ranks of people who double as the designated designer in multitasking work environments will appreciate the extensive set of easy-to-modify templates and the intuitive help screens. Draw X4 ships with a substantial library of royalty-free artwork, including 1000 high-resolution photos suitable for commercial projects. And Draw X4 meshes smoothly with Windows Vista Instant Search to sort quickly through images on your computer or network from within Draw's Open Drawing dialog box. I did some of the above mention tips few times. But I didn’t use this methods simultaneous. But now after reading your post I thought simultaneously use might give a big boost for my website. Thanks for sharing this awesome tips.